Cordillera - No one could ever disagree with the words of ONE Championship CEO and chairman Chatri Sidyodthong that Team Lakay is the number one team in the world. Team Lakay's success in the MMA arena is collectively worked out by the Igorot martial artists who dedicated lots of their time and effort in this particular sport. For them, martial arts is a passion they love doing. It's a career that is fulfilling and a sport they care about and are willing to share to others. Their dedication to the sport has been rewarded abundantly. This year is a great milestone for them as they took home five world championship belts in different weight classes; four under the banner of ONE championship and one under Brave Combat Federation. Eduard "The Landslide Folayang" just recently became ONE Lightweight World Champion last November 23, 2018. Kevin "The Silencer" Belingon became the ONE Bantamweight World Champion early in November. Joshua Pacio became the ONE Strawweight World Champion in September. While Geje Eustaquio became the undisputed ONE Flyweight World Champion in June. Stephen Loman on the other hand, became Brave Bantamweight World Champion. Yes, it's five world championship belts that they had taken and brought home to the Philippines. These are the Igorot heroes that brought the Philippines Mixed Martial Arts to the world's spotlight. 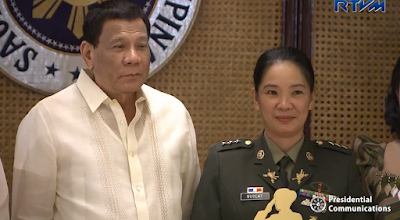 Because of them, Philippines is now known to have the best mixed martial artist in the world. The successful journey of Team Lakay from its humble beginning up to becoming the number one team in the world is a product of teamwork and humility. As Eduard Folayang - the newly crowned world lightweight champion said, " We help each other so that we can be able to have these belts." 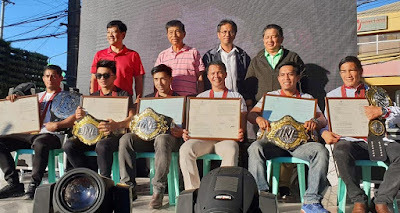 To honor the big contribution of the legendary martial arts heroes and the champs of Team Lakay, the city government of Baguio organized the "Parade of Champions" on December 2, 2018.